Everybody wants to hear my story,” said Dave Meyers, the owner of Meyers Ace Hardware on 35th and Calumet. Meyers put up “CLOSING” signs on the front of the store last month, telling DNAInfo he couldn’t afford the space anymore. 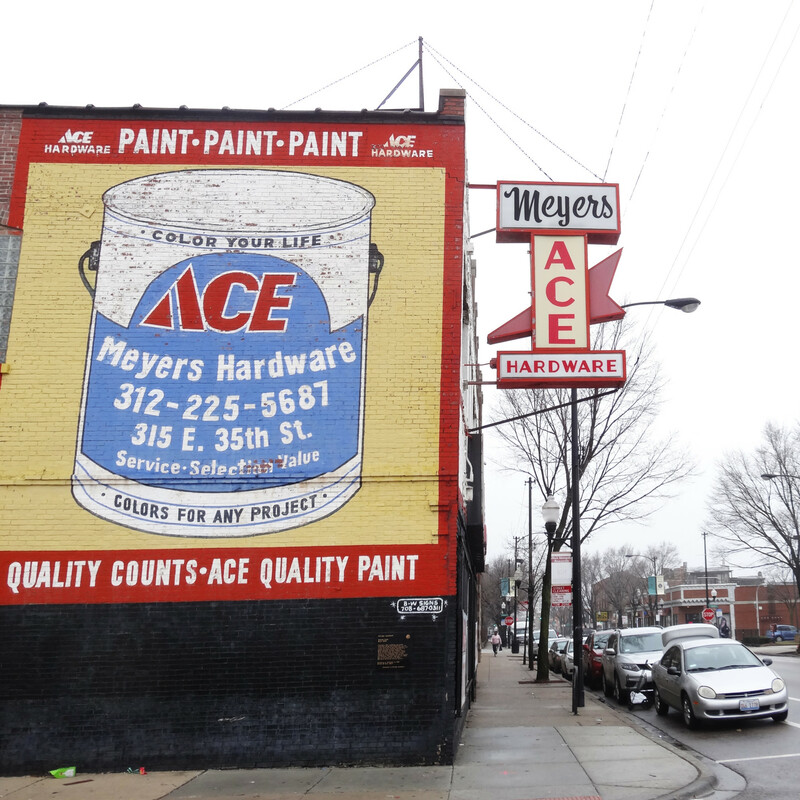 Meyers Ace Hardware is something special: the space used to house two legendary jazz clubs, whose storied histories were recounted by Dempsey Travis in his many books about the South Side’s music history. The building went up a century ago as a car garage, and later turned into a jazz club, the Sunset Café, and after that the Grand Terrace, another storied jazz venue. Travis’s book, An Autobiography of Black Jazz, immerses readers in the world of the Sunset Café, a world that now survives only on the page. 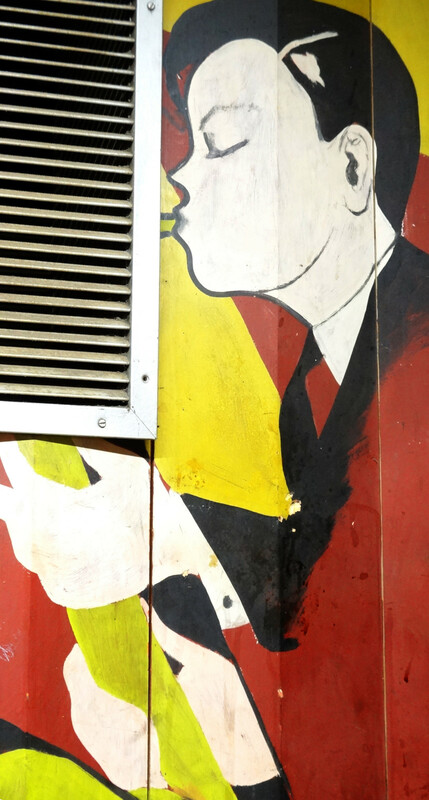 Along with the Plantation, located across the street, the Sunset Café was one of the hottest jazz venues in the city. Violinist Carroll Dickerson led the seventeen-piece house band everyone wanted to be in—local jazz stars Bix Beiderbecke, Benny Goodman, and Gene Krupa listened to the band play almost every night. Tommy and Jimmy Dorsey, Bud Freeman and Muggsy Spanier were also, although less frequent, visitors. Louis Armstrong arrived in Chicago in 1922. He’d come to be a part of Joe “King” Oliver’s band, which played at the Royal Gardens cabaret (later the Lincoln Gardens, located at 459 E. 31st) and the Dreamland Cafe at 35th and State. Armstrong was hired as the band’s second trumpet player soon after getting into town. While in the band he met pianist Lil Hardin, who in 1924 became Lil Hardin Armstrong. At Lil Hardin’s urging, Armstrong left King Oliver’s band in June 1924. He tried joining the Sunset Café band, at the time led by Sammy Stewart, but Stewart wouldn’t give him an audition because Louis was too dark-skinned. According to one of the band members, Stewart wouldn’t even look him in the eye. It took two more years, until April of 1926, for Armstrong to join the Sunset Café’s band, when Carroll Dickerson was again leading it. While playing with the band, Armstrong met Joe Glaser, who later became his longtime manager. Glaser was a regular at the Sunset and the nearby Plantation Café. His mother owned both buildings and leased the Sunset Café to Ed Fox, one of Al Capone’s men, although some accounts have the roles reversed, with Ed Fox owning the club and Glaser renting it. By February 1927, Dickerson developed a drinking problem and Glaser fired him, appointing Armstrong as the new bandleader and renaming the band “Louis Armstrong and His Stompers.” Armstrong’s master of ceremonies was a nineteen-year-old named Cab Calloway, who later said Armstrong would play his favorite songs every night—“Muskrat Ramble,” “Gut Bucket Blues,” “You’re Next,” and “Oriental Strut.” Earl Hines had been the pianist under Dickerson’s leadership, and he stayed with Armstrong in his new band. Throughout the latter half of the decade, Louis Armstrong and his Hot Five recorded many celebrated albums and cemented their place in jazz history. Armstrong’s tenure at the Sunset Café, however, was short-lived. The venue was raided and shut down on November 5, 1927 for openly selling bootleg whiskey and allowing integrated dancing. Armstrong moved to New York not long after, and the Grand Terrace, up until then located at 39th and King Drive, moved into the space. When the Grand Terrace opened in place of the Café, pianist Earl Hines took up the mantle of bandleader. Al Capone owned a twenty-five percent stake in the venue, and Ed Fox managed both Hines and the club. During Hines’ time at the Grand Terrace, the band was broadcast nationally every weeknight, for an hour on WMAQ and then another hour on WNEP. Hines used this later fame to tour his band nationally and become famous in his own right, and with the help of Jimmy Petrillo, the head of the white musician’s union, was able to get out of his unfair contract with Fox. The Grand Terrace closed down in 1940, and the building served as the district office of congressman William L. Dawson for many years. Glaser sold the building to Meyers’ father Henry in 1962, who then opened Meyers Ace Hardware. 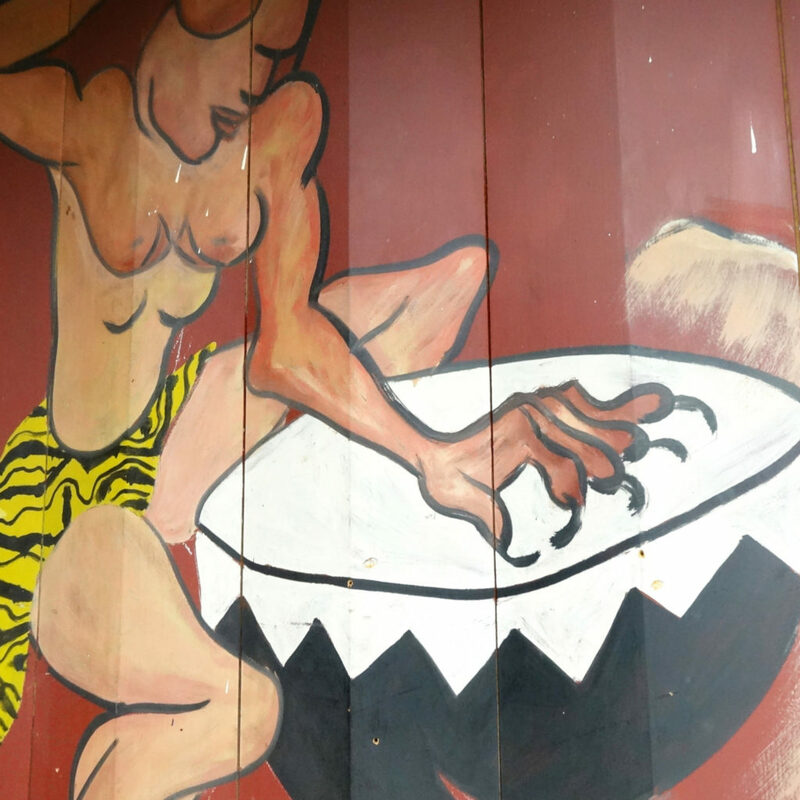 It’s unknown who is buying the building after Meyers leaves, but the buyer is said to have a love for jazz history—as they should. Meyers also told DNAInfo he had been contacted by musicians hoping to hold celebrations and concerts before the building officially changes hands.